Serious Performance Products l Finish Kare l Duragloss l Poorboys World l Meguiars. Above is the prize... Around 15 different cloths of varying grades and weave. Whilst there may not be anything new and groundbreaking in there... Hey... 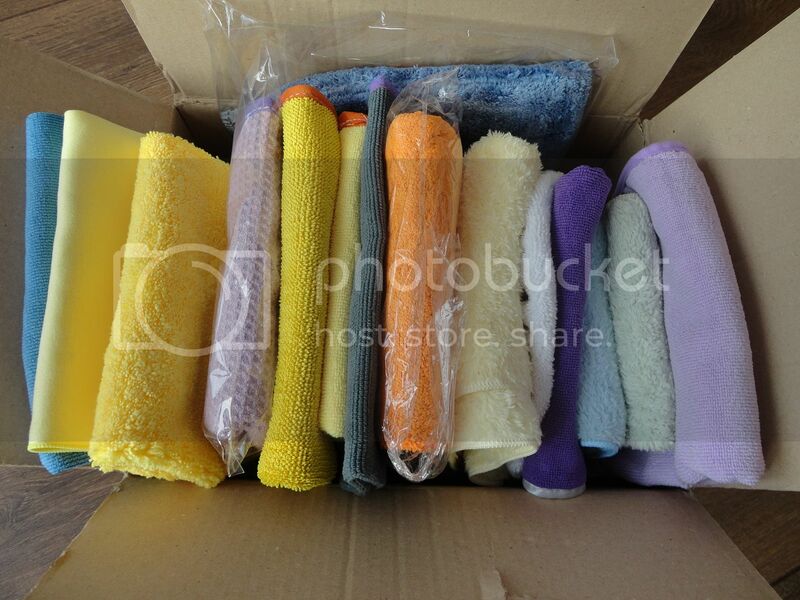 It's a box of FREE Microfibres! As an addition to the above, we'll also throw in one of our new SP Uber 60x90cm Uber 'No Seam' Drying Towels, An SP 40x40cm Uber Detailing Towel and a couple of our SP 40x60cm arUber All Purpose Towels.... So all in all, not a bad little haul! Simply add your username below (add numbers as necessary) and next weekend I'll pop the numbers into a random number generator and pick a winner.... Simples! The rules.... You must be in the UK (with a UK postcode), and only one entry per person. Cracking free offer, thank you. Last edited by nbray67; 08-01-2017 at 11:10 AM. Thank you this is the best wee forum around. Last edited by BillyT; 08-01-2017 at 11:45 AM.